Stand Up for SINGAPORE: SDP has proposed a scheme to tighten the screening of foreign professionals and ensure that Singaporeans are first considered for hiring. SDP has proposed a scheme to tighten the screening of foreign professionals and ensure that Singaporeans are first considered for hiring. Weighing in on the population debate, the Singapore Democratic Party (SDP) has proposed a scheme to tighten the screening of foreign professionals and ensure that Singaporeans are first considered for hiring. Among six recommendations it set forth in an alternative white paper presented Thursday night, SDP suggested a "TalentTrack" scheme that would take into account the age, number of dependents, qualifications, work experience and skill sets of potential foreigners to be employed in Singapore. Party chief Chee Soon Juan said on Thursday that the SDP's paper titled "Building a People - Sound Polices for a Secure Future" is a comprehensive set of policy initiatives that takes into consideration not just the matter of lowering the population but also tightening immigration, lowering the costs of living and retaining Singaporean talent. Before a foreigner can apply to work in Singapore under the TalentTrack scheme, a Singaporean employer must first demonstrate that they have made every effort to employ a Singaporean first but cannot find a local with the requisite skills. The point system will reflect the prevailing needs of the various sectors and industries of the economy, SDP explained. To verify they possess the skills they claim to have, applicants will also be tested at centres to be created under a new statutory board called the Council for Skills Evaluation, the party proposed. Those who pass will be granted an Employment Pass (EP) which will be tied to the firm that employs him. “As an alternative to the current foreign manpower policies, this proposal is a broad shift of the manpower policy to a focus on productivity and innovation,” said SDP in the paper. The party also proposed to abolish foreign worker levies for professionals and replace it with an additional tax on their income at a rate of 13.8 per cent -- a rate that matches the current top rate of employer CPF contribution. According to the party, the government’s population white paper endorsed by Parliament last week has failed to address problems such as overcrowding and will struggle to tackle Singapore’s demographic challenges because it has not departed from the policy fundamentals that have given rise to the present situation. In the government white paper, Singapore’s total population is projected to hit 6 million by 2020 from the current 5.3 million and to rise to as much as 6.9 million by 2030. National Development Minister Khaw Boon Wan said the 6.9 million population is a “worst case scenario”. “The PAP government announced its intention to increase the population to 6 million by 2020 by bringing in nearly 500,000 more foreign worker. 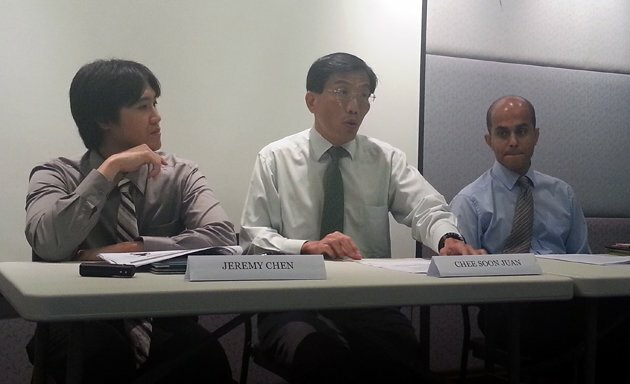 This will put considerable strain on Singapore’s resources and infrastructure,” said the SDP. The SDP also proposed the use of a Genuine Progress Indicator (GPI) as an another way to measure Singapore's progress. GPI incorporates GDP factors but also adds other components which can be effects related to economic activity such as commuting and lost leisure time. Increasingly used in other countries, GPI is a net measure of the impact of economic activity and provides citizens and policymakers with a more holistic view on progress. Noting that the GDP overlooks the standard of living in a community, SDP said the GPI can be used in tandem with Gross Domestic Product (GDP) to measure Singapore's progress. A local version of the GPI can introduced with specific indicators that are not found in the standard GPI but are exclusive to Singapore such as water security. 6) Revamp the ministerial pay formula and KPIs for senior civil servants. SDP's full population policy can be found here.